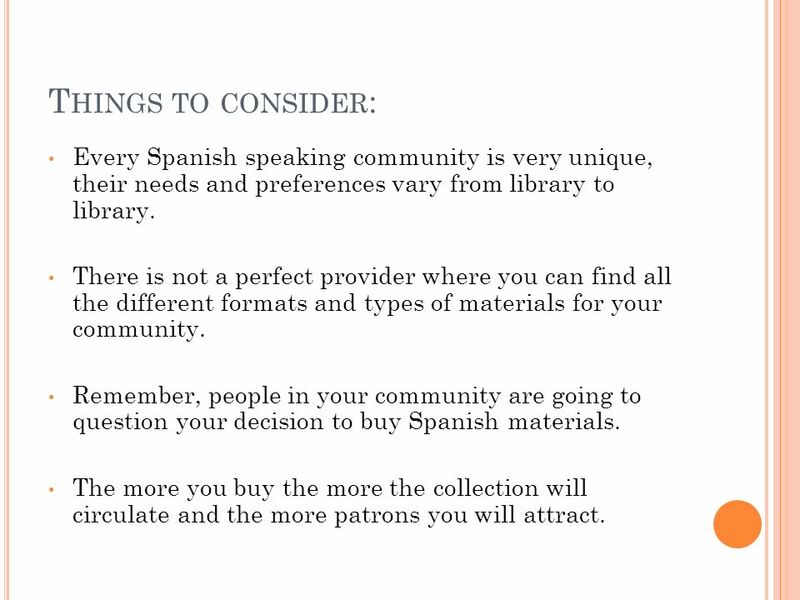 2 Things to consider: Every Spanish speaking community is very unique, their needs and preferences vary from library to library. There is not a perfect provider where you can find all the different formats and types of materials for your community. 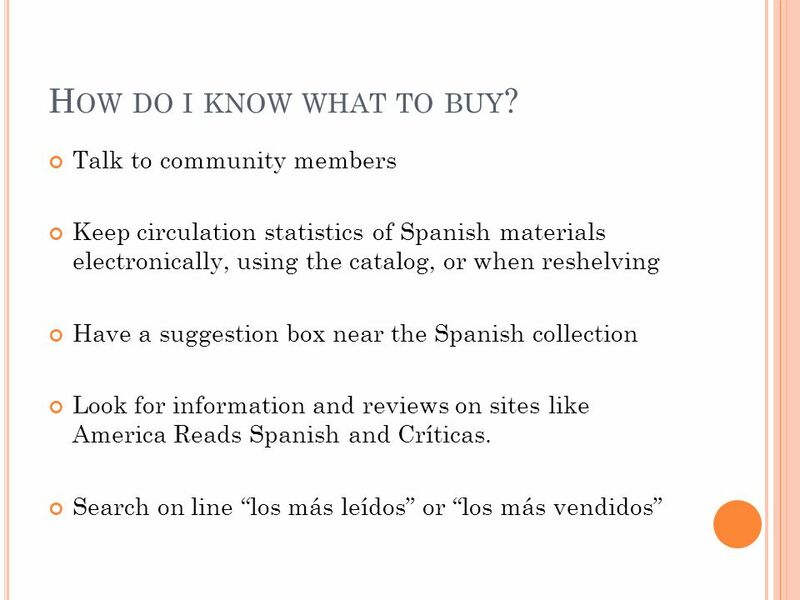 Remember, people in your community are going to question your decision to buy Spanish materials. The more you buy the more the collection will circulate and the more patrons you will attract. 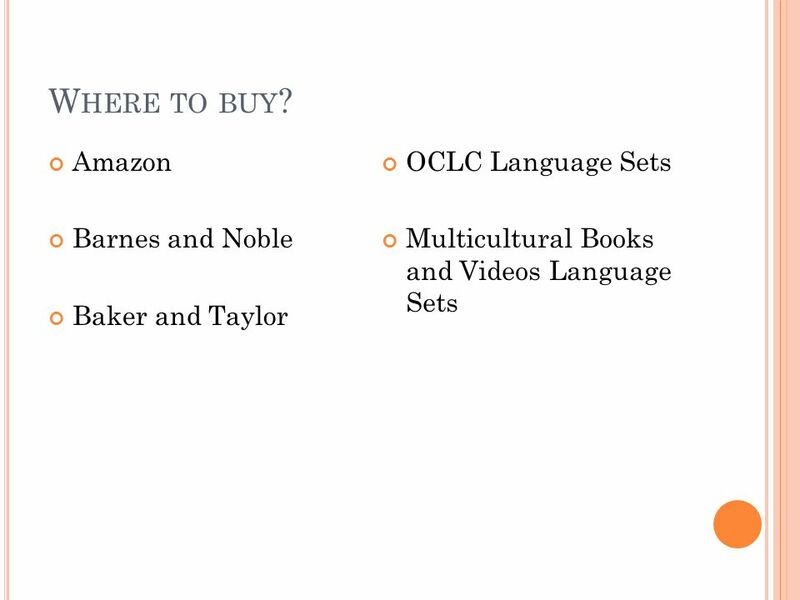 4 What reference books to buy? Reference materials: “Diccionarios enciclopédicos”: Océano, Pequeño Larousse Ilustrado. 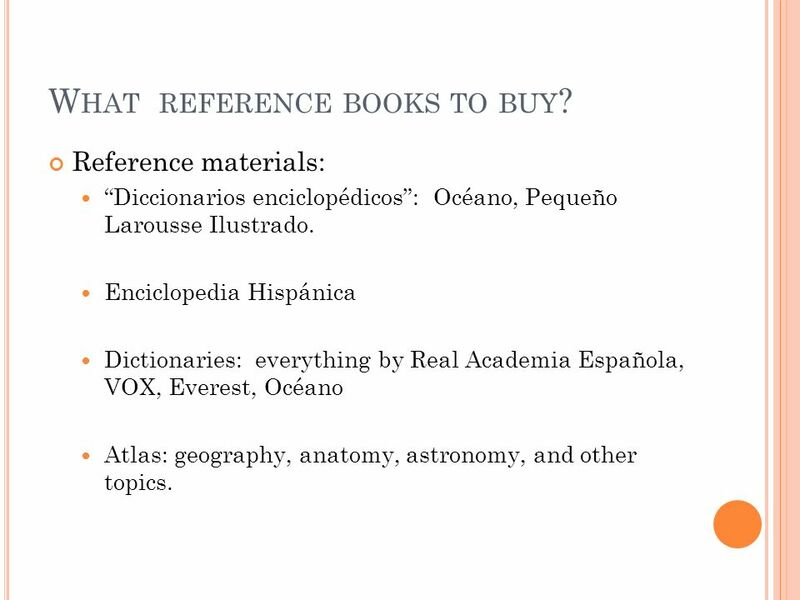 Enciclopedia Hispánica Dictionaries: everything by Real Academia Española, VOX, Everest, Océano Atlas: geography, anatomy, astronomy, and other topics. 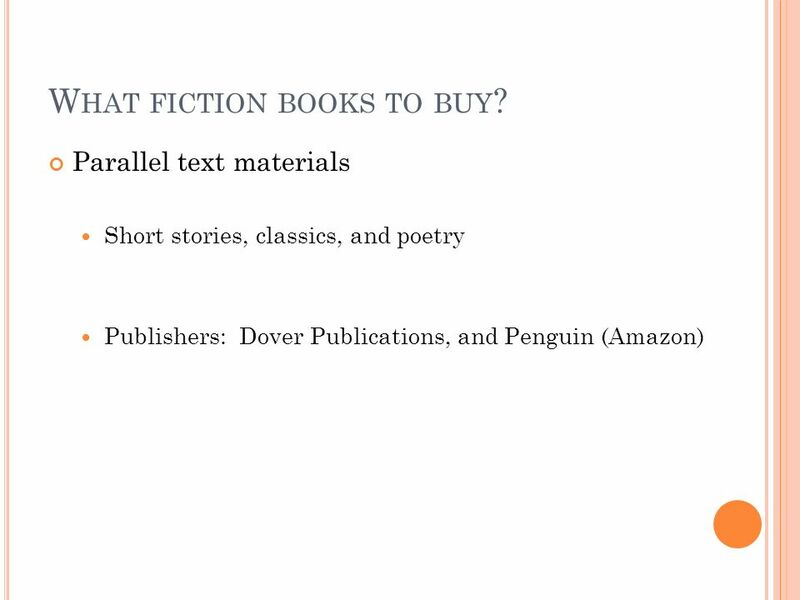 5 What Fiction books to buy? 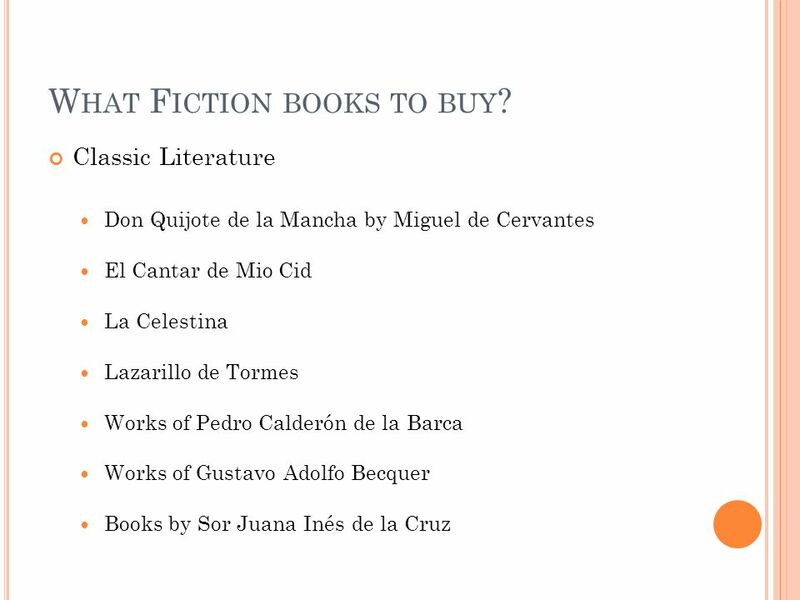 6 What fiction books to buy? 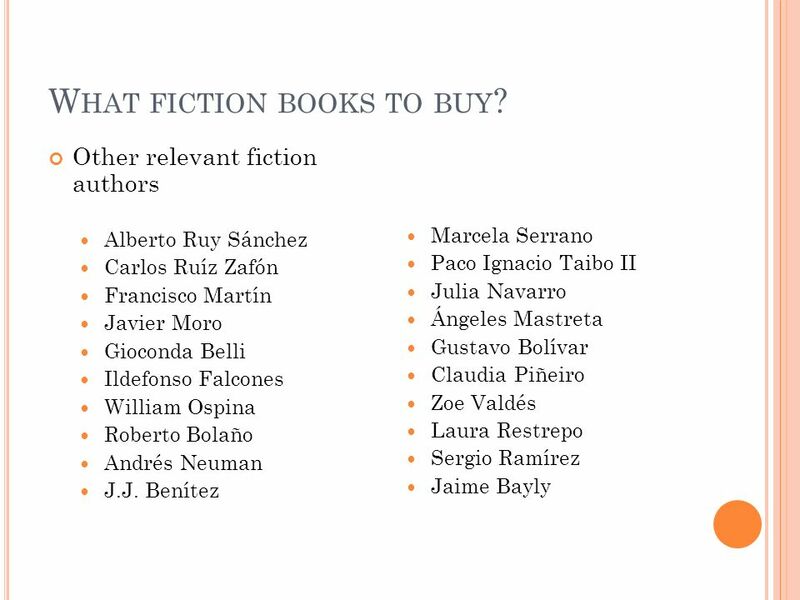 7 What fiction books to buy? 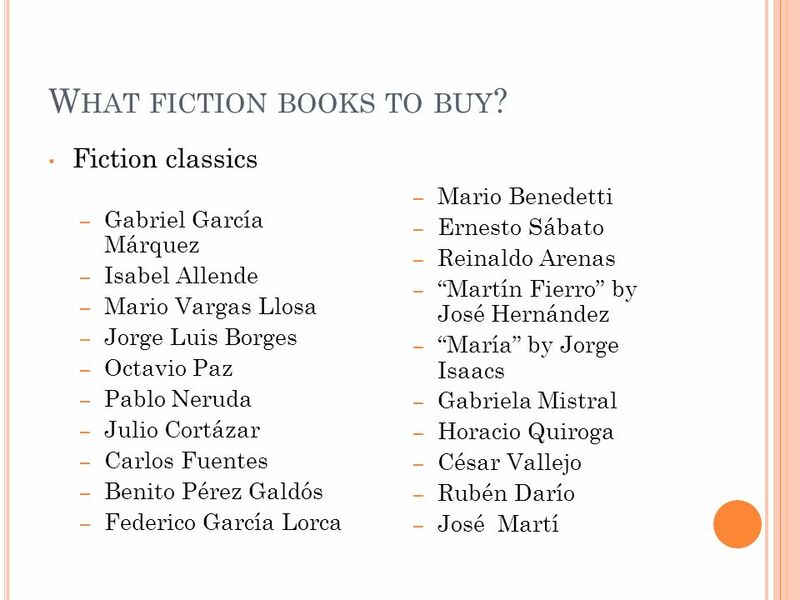 8 What fiction books to buy? 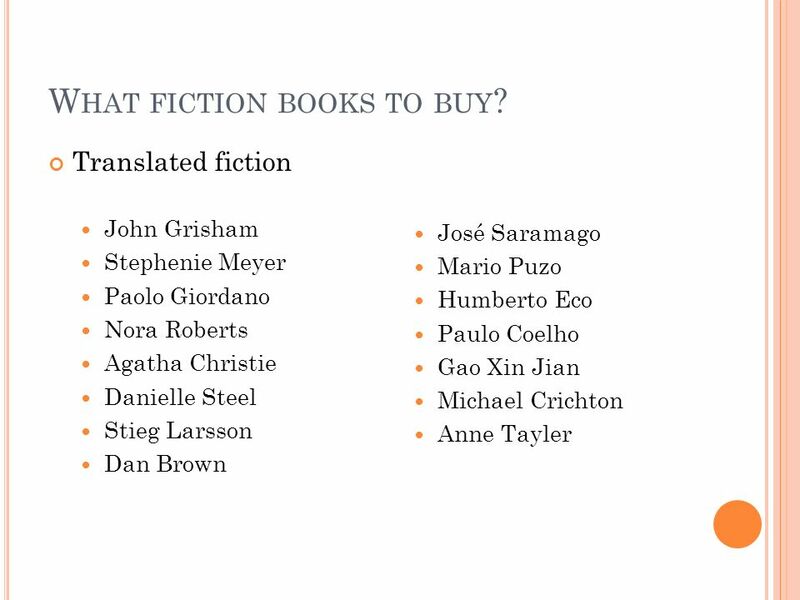 9 What fiction books to buy? 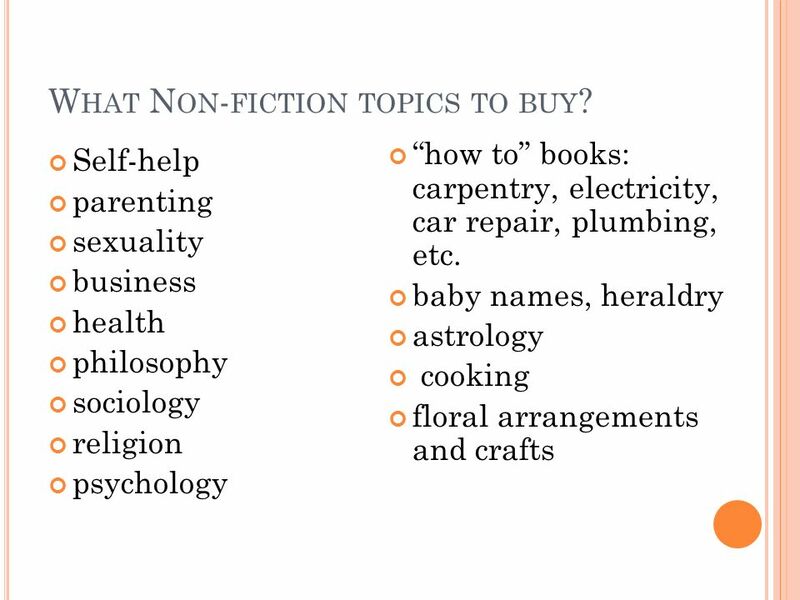 10 What Non-fiction topics to buy? 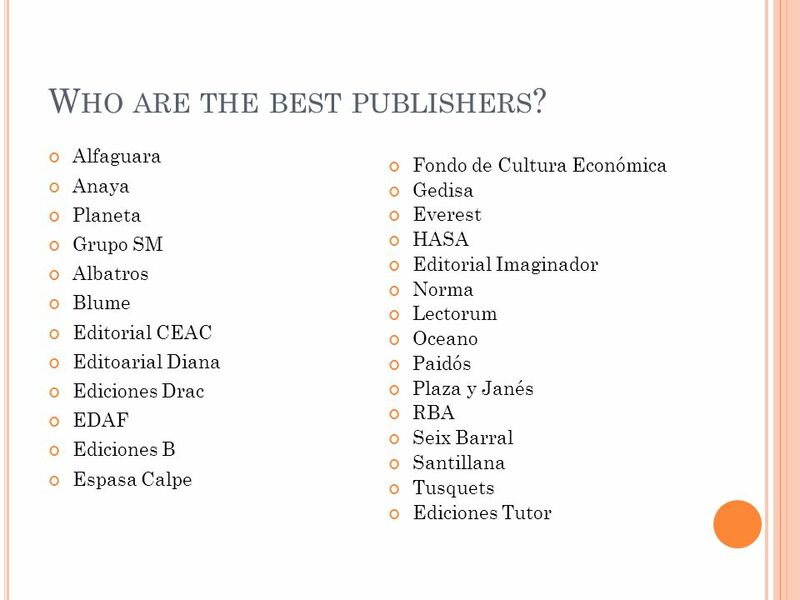 13 Who are the best publishers? 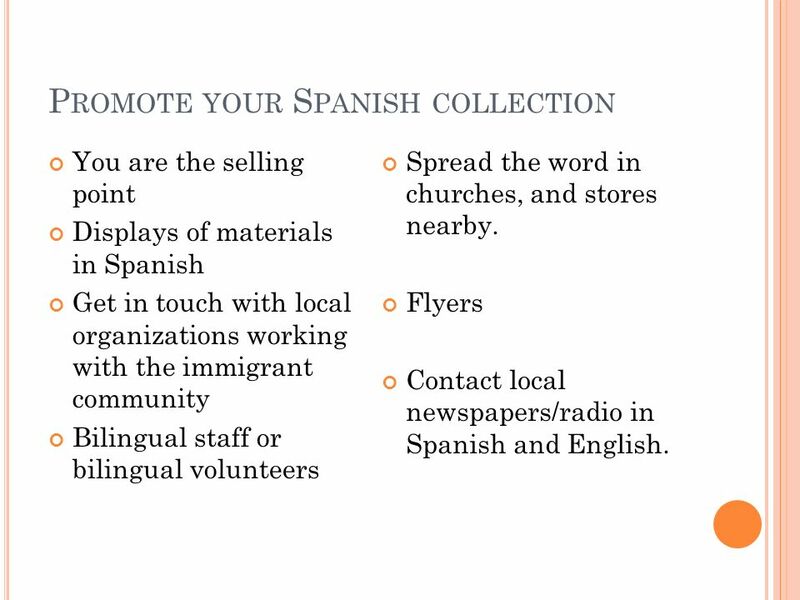 You are the selling point Displays of materials in Spanish Get in touch with local organizations working with the immigrant community Bilingual staff or bilingual volunteers Spread the word in churches, and stores nearby. Flyers Contact local newspapers/radio in Spanish and English. 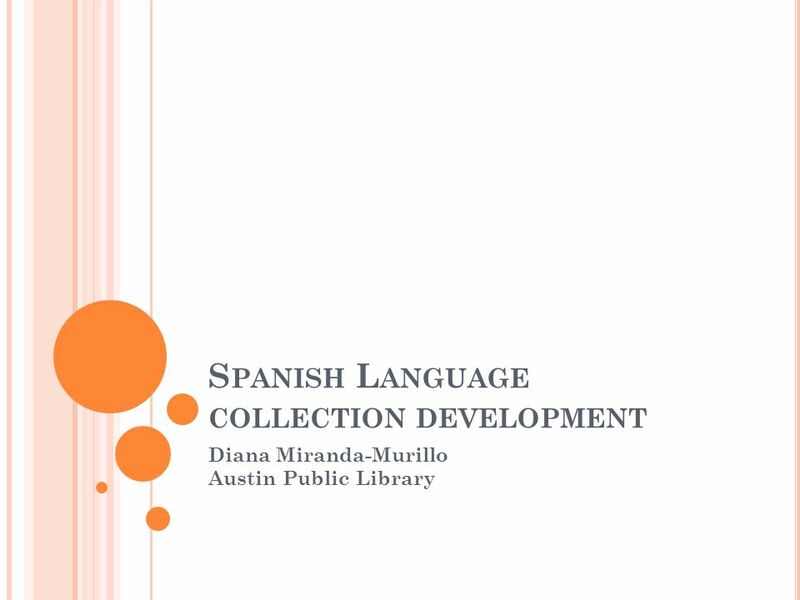 Descargar ppt "Spanish Language collection development"
Para empezar Hoy es martes el cinco de febrero Write what each person has to do in Spanish based on the picture. Ella Él ÉlÉl. 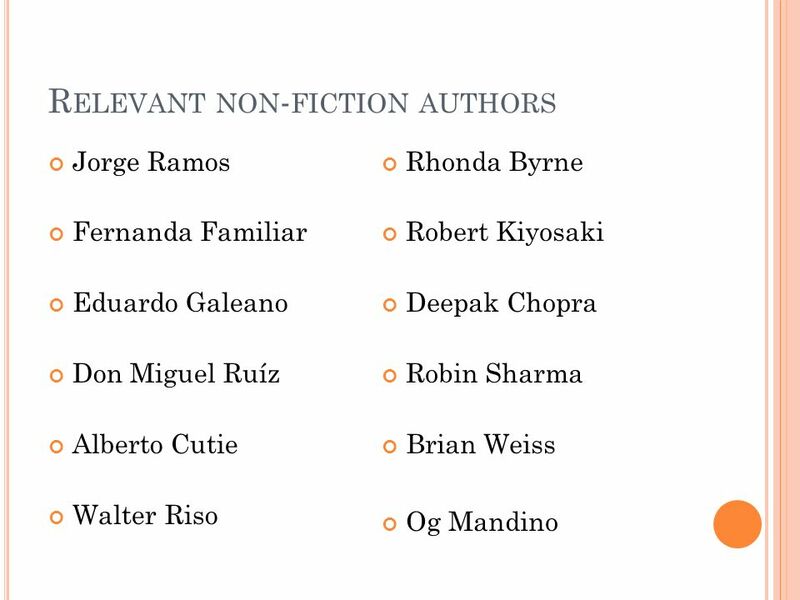 Me llamo __________ Clase 7IM La fecha es el 10 de noviembre del 2011 Propósito # 20: ¿Conoces una persona famosa? Actividad Inicial: In the following. Los pronombres The subject of a sentence tells who is doing the action. Gregorio escucha música Ana canta y baila. S V S V V.